In the USA the fotovoltaic capacity exceeds 50 GW and results in more than 1.3% of the country’s total energy production. The current share of solar powder may not seem impressive, however, solar energy is the fastest growing sector of renewable energy sources; and new plants are built annually with ever higher capacities and efficiency. With so much investment and energy production in solar panels it is important to ensure that they work efficiently and with the lowest possible maintenance requirements. For that, there is solar panel coating which allows maximum sunlight absorption and the least need for maintenance thanks to iot self cleaning properties. In this article we look at solar panel coating, the technology behind it, and how it maximizes output of solar panels. 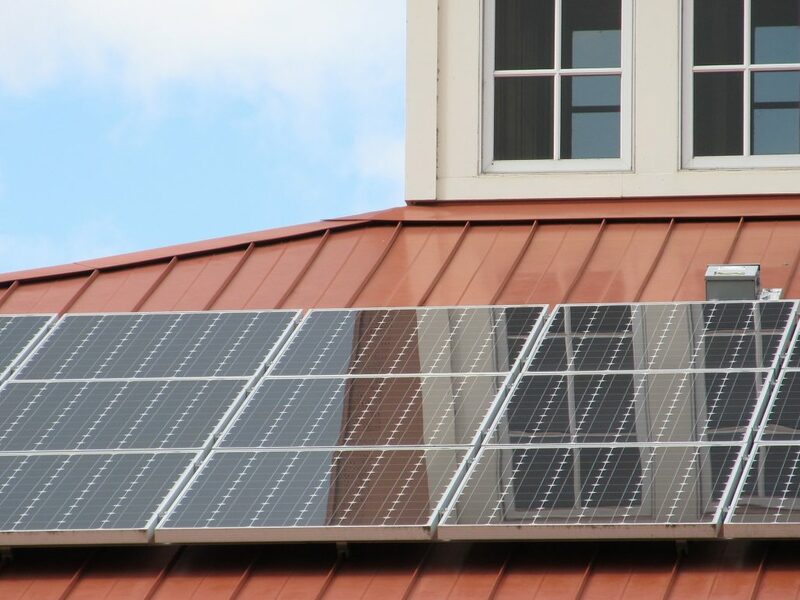 We also look at the solar panel coating manufacturers and products available in the US. Self cleaning solar panel coating significantly reduces need for maintenance. Anti-reflective – An anti-reflective layer increases the amount of light transmitted through the surface of the panel and thus increases efficiency. Self-cleaning – Contaminants like bird droppings and pollution do not adhere to it. This also makes the coating anti-dust and prevents the growth of mold. A little rain is all it takes to remove dirt and grime. Hydrophobic – In rainy climates, like in the rainiest states Louisiana and Mississippi, particularly beneficial. The hydrophobic coating allows water to flow more easily from the panel surface and reducing the negative effect of inclement weather. Easy to clean and maintain – With the self-cleaning properties of hydrophobicity, the coating requires far less maintenance to ensure efficiency. Provides long-lasting protection – The coating is durable and can withstand different weather conditions reducing the need for maintenance. A nano coating works because of the way the particles organize themselves and bond with the surface. The surface of the coating is hydrophobic in one of two ways: Either it has extremely low surface energy (which means very low molecular attraction), or the surface is highly textured with peaks and troughs. Substances cannot adhere or ‘wet’ low surface energy, and a textured surface means not enough surface area is available for substances to adhere to. Both these surface types repel water, dirt, and dust, and prevent the growth of mold. The solar energy boom has led to an increase in research and investment in solar solutions. Companies like Tesla have rolled out innovative solar products to supply market demand and anticipate a stronger solar energy future. As well as development companies, there has been increased scientific investment. New technologies are being announced all the time. Thin film technologies in particular are an area of huge growth. Thin film technologies include spray on, printable, and perovskite cells. Perovskite cells are sprayable solar cells, soluble in a variety of solvents. This could mean that printing solar cells like we currently print books is possible in the near future. Perovskite cells are particularly exciting because scientists have managed to achieve a rapid increase in efficiency in just a few years, already almost matching traditional silicon-based cells. Another nano coating innovation allows solar cells to catch sunlight no matter the direction of the panel. Traditionally, solar panels are angled towards a certain direction in order to produce energy most effectively. Like the super-black coating Vantablack, this coating uses regulated nano structures to capture and direct sunlight, enhancing the efficiency of the solar panel. 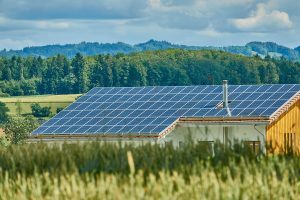 There are thousands of solar panels across the US, and with that kind of market demand there are naturally many solar panel coating manufacturers to meet it. Solar panel protective coating can be applied aftermarket or OEM, but anti-reflective solar panel coating is more commonly applied OEM. An example is DSM, who provide an AR coating (as well as an anti-soiling coating) for solar glass which is applied at the glass producer. 3M also produces an AR coating for OEM, applied to the glass before tempering. For more information about solar panel coating for your project, get in touch! Our experts are here to help. Use the button below and let us know the details of your request. After consultation with our coating partners, we will connect you with a coating solution for your needs.